A performative workshop by artist Leonor Serrano Rivas featuring performances by cast members of the artist's most recent film, 'The dream follows the mouth (of the one who interprets it)'. Serrano Rivas worked with 4 dancers, 2 glass harpists, an organist, and a cinematographer to consider how notions familiar to drama — that of action, rehearsal, and spectator — might stem from and apply to places of worship. 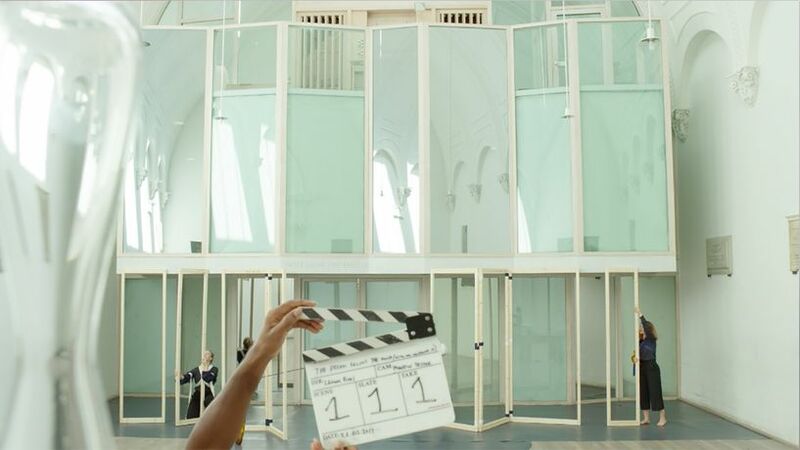 The film draws upon the artist’s research into the relationship between the stage and the temple in Ancient Greece, made ahead of two recent exhibitions in former churches in Spain: The Sala Santa Isabel, Seville and CAAC, Centro Andaluz de Arte Contemporáneo, Seville. Gordon Craig’s experimental use of scenography, and Spanish poet and playwright Federico García Lorca’s consideration of the public in theatre were also conceptual touchstones for the project. During the workshop, Dialogues in the Exercise of Jumping in the Air, Serrano Rivas and select cast from The dream follows the mouth... will lead an imaginative retelling of the film through projections and performance. 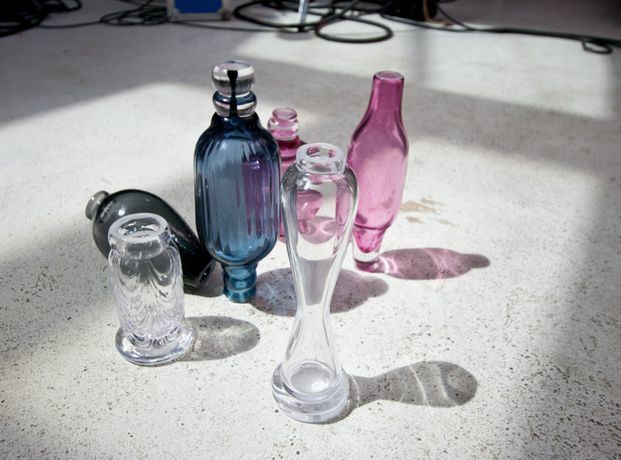 Participants will have the opportunity to experience and interact with the film’s props and set including a collection of hand-blown glass ‘puppets’: Abstract forms designed by Serrano Rivas to emulate the pipes of the Church’s organ. The completed film will be presented at The Botín Foundation, Santander and the Swiss Church in London in 2018. It takes its title from a quote by George Levitte and Guy Casaril; “Les rêves et leur interprétation dans les textes post-bibliques” found in the anthology 'The Dream Adventure' edited by Roger Caillois. (2) The phrase references the film’s preoccupation with inverse and opposite reactions, as it records the transfer of energy from one character to the next. 1) According to historical accounts the shape of the apse informed the standing formation of the chorus in Greek theatre. 2) Casaril, G. and Levitte, G. 1960:. In R. Caillois (ed. ), The Dream Adventure: Evidences, Introduction, pp. xii. The project has been kindly supported by the Botín Foundation, Arts Council England and the Swiss Church in London.